Spain is Militarizing Against Citizens – The Coming Civil War? The Spanish government is militarizing gearing up for violent protests against the EU that are expected to turn up before a hot autumn. Spain is now equipping the police for about one billion euros with new combat equipment. 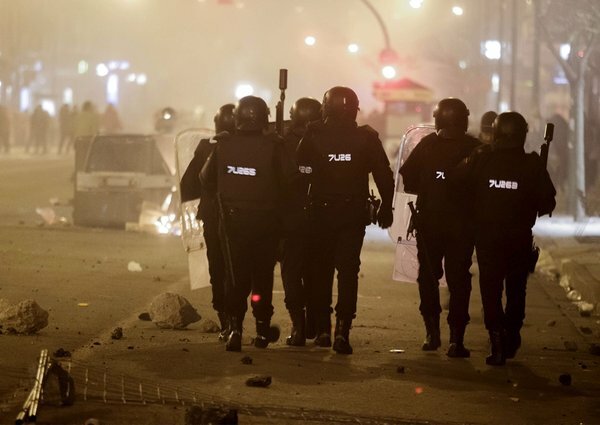 Violent protests in Spain since the crisis began almost a daily occurrence. Movements such as 25 de Mayo or the Indignados call Spaniards of all strata of the population to protest against the government on the streets. The police will always respond violently. They cover up their brutal responses by banning any video of police beatings making it a crime in itself. This is certainly illustrating the loss of freedom and any democratic process within Europe. The police scandals have only charged the atmosphere within the population and we may see this erupt into civil war as we move forward. 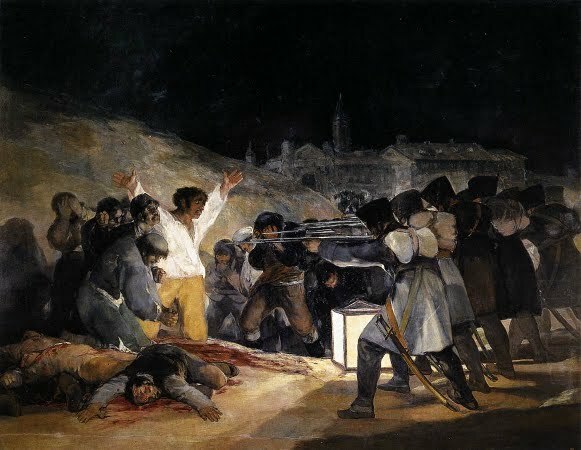 Goya’s painting of the brutal treatment of citizens during the Spanish Civil War is a reminder of what we could face in the aftermath of the militarization of Spain against its own citizens. Since June, the Spanish Interior Ministry has signed four contracts for the purchase of protective vests, shields and other riot gear. These weapon purchases are causing many to relive very bad memories in Spain. Spain has also bought water canons, a weapon that by the end of the Franco dictatorship was in continuous use. Opposition leader Antonio Trevin called the purchase therefore “a return to the times we would rather forget.” The Interior Ministry has responded merely justifying their rearming as necessary “because of the current social dynamics”, necessary, reports the Guardian. The protests are mainly directed against the always new austerity measures, tax increases, the extremely high youth unemployment, homelessness following the bursting of the housing bubble, and also against a restrictive policy such as the recent bill to ban abortions. Then there is the movement to establish a referenda for the abolition of the monarchy. Then throw in the separatist movement as we see in Scotland where the Catalans are moving for their independence. There were protests against the recent visit of German Chancellor Angela Merkel that had to be violently dispersed by the government. Spain is moving toward civil war. Even the human rights organization Amnesty International has expressed concern over the arming of the police. the police are there to protect the government – not the people. That is a dangerous position that sets the stage for civil war.